I continue to struggle with processing the Penn State scandal. It is overwhelming to think of what Jerry Sandusky did to children at the university. When I ponder how he could be a member of a United Methodist church in my conference, I shudder. One of the few rays of hope in all of this is that the truth is slowly coming out and some semblance of justice is slowly being achieved. As I struggle to make sense of it all, I find that what I perceive to be sanctimony, schadenfreude, and the lack of ownership in systemic sin is also bothering me. In terms of sanctimony, so many people and organizations have gotten on their high horse about what happened at Penn State. They have taken the easy road of moral authority and just attacked people involved with no humility. Instead of wading into the grey waters of a complex and problematic situation, they have created a binary situation. There was right and there was wrong, heroes and monsters, and with the clarity of hindsight, they throw stones at those they deem as inexcusably wrong. As they throw stones, they do not consider for a moment, how perhaps they are not that much better then those involved in the situation. When you see the world in the binary of right and wrong, it is easier to go to sleep at night. Instead of acknowledging one’s own sinfulness, one’s own perchance to make poor decisions, the complexities of systemic evil, the possibility we don’t know everything, we can sleep well knowing our own moral superiority. As we rest smug that we are better than those we cast stones at, we don’t have to wrestle with self-reflection and repentance. The problem though is that there are very few monsters in the world. I think about Hannah Arendt’s Eichmann In Jerusalem. Arendt observed that while the Isreali prosecution wanted to make Eichamnn out to be a monster, she found him to be an ordinary person who did horrible things. What is worse is that Eichmann did not seem to have a personal agenda to go out and hurt people. From his perspective he was just doing his duty. Fullfilling his purpose in a larger system. Had the system been designed differently, he would have acted differently. This is not to excuse what Eichmann did. Instead, it should scare all of us. Normal people in their day to day lives do horrible things. It easy to select a few people and lay the blame on them in a horrible situation. Yet, systemic evil is rarely the work of one person or even a few people. The reality is that Eichmann had a lot of help sending people to the death camps. We like to blame Hitler for the holocaust, but many people empowered and enabled him. He did not do it alone. Ordinary people helped do horrific things. It is often the work of many people enabling, empowering, or failing to do the right thing that creates great evil in the world. A janitor can blame Paterno’s power to fire for not reporting what the janitor saw, but does the absolve the janitor of moral responsibility to report a crime? Whenever we are involved in a system, we have some control of how we act in the situation. All of the sanctimonious comments only creates a haze that blinds all of us to our own complicity and potential complicity in systemic evil. While we need to state what is wrong, we need to hold people accountable for their actions, we also need more humility and less sanctimony. Only when we are willing to admit our own sinfulness, our own complicity, and the banality of evil are we in a position to work towards stopping the sins that we currently pin on a few. The NCAA, sports writers, college football fans, all have a role in this. Taking a sanctimonious position now, does not absolve complicity. It only blinds us and creates the possibility of great sin later. I am bothered by what I perceive as schadenfreude as well. Before the NCAA announced their punishment, some people’s calls for punishment seemed opportunistic and selfish. Every time a new punishment is named for Penn State, some argue it is not enough. When a Penn State fan says something dumb and someone calls for more punishment in light of the comment, I wonder though why? How much punishment is enough? What level of punishment will change what happened? The NCAA could raze the campus and salt the earth, but that does not change what has happened. Punishment is appropriate. I would not argue with that. I just question the motivations of people and organizations who want more and more. What are their motivations? Ultimately, I hope we can recognize that the Penn State situation was more then the sins of a few men. It was systemic sin. The systems involved go beyond Penn State. As a society we need to hold Penn State accountable to change so that so this will never happen again. I believe punishment is appropriate. The way the story is currently framed though absolves many at Penn State and outside Penn State in their own complicity. It is easy to demonize a few and exonerate the rest, but doing so only turns a blind eye to the systemic nature of the sins involved. When we make the narrative easy to swallow, I fear we are not ultimately learning anything or making real changes. We do so at our own peril. 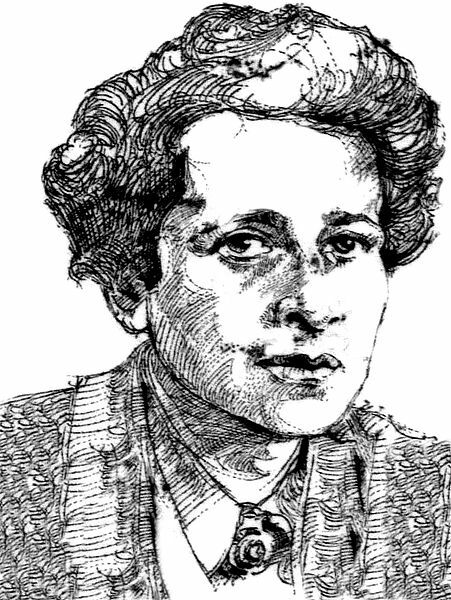 Hannah Arendt. In the Public Domain. Previous Previous post: More Punishment, More Problems? Next Next post: Bloom Where You Are Planted?